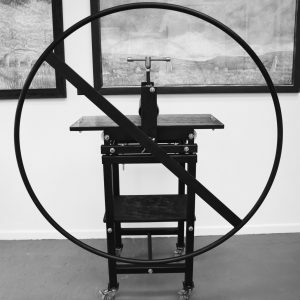 The framing studio at our Ironbridge gallery provides a high quality bespoke framing service defined by the internationally recognised Fine Art Guild Standards. The Guild’s Commendation gives you piece of mind that you are dealing with experts in displaying and preserving works of art. 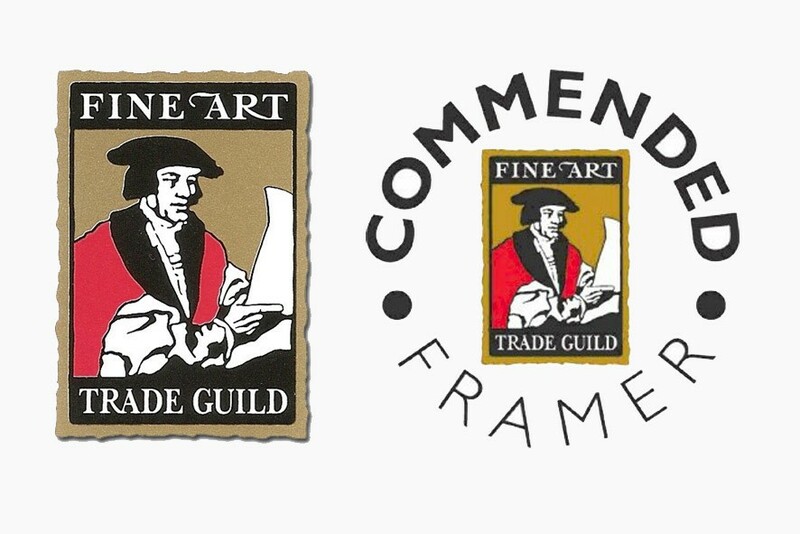 Although the Fine Art Trade Guild has five levels of framing we only offer the highest three. This is because we focus on the highest framing quality and believe that your precious fine art deserves the best framing to preserve and compliment your piece of work. Museum Level Framing is not confined to museums. Some artwork gains museum quality status over time. 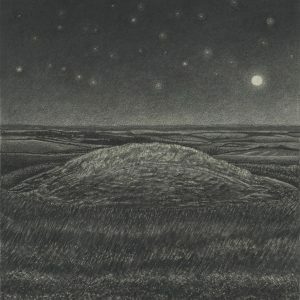 Works that are to be preserved for future generations, including high value items, and artwork of potential or historical value should be framed to Museum Level. Processes are intended to be fully reversible up to 35 years, which means that the framed work can be returned to its former state (i.e. prior to framing) at any time, assuming that the artwork is not inherently unstable. Guild Conservation Level framing gives a high level of protection for your artwork. Not only does Conservation Level framing look good, it also allows you to view your cherished piece in all its original glory. A Conservation Level bespoke picture frame will give protection similar to a Museum Level frame. In many markets, for example the USA, no distinction is made between the two. 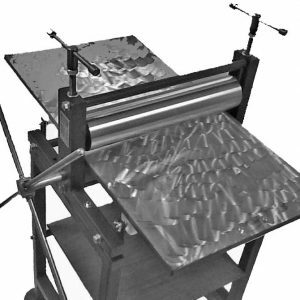 By using conservation quality materials and the best techniques, our expert framers can offer your work protection from physical and mechanical damage, airborne pollution and acids generated by many framing materials. 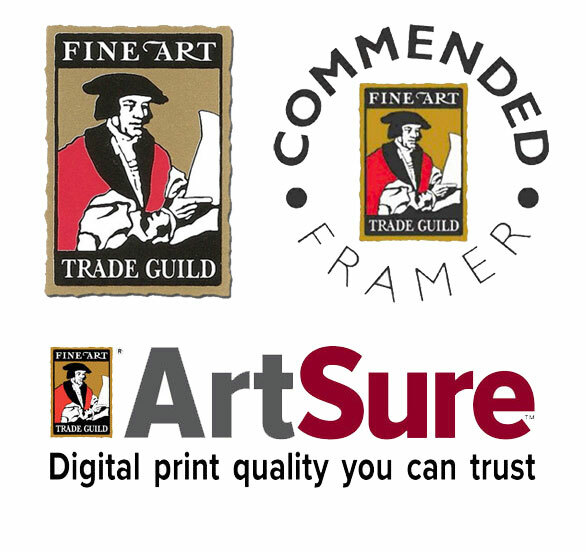 Guild Commended Level bespoke frames will visually enhance your artwork and will give a moderate level of protection from physical and mechanical damage, airborne pollution and acid damage. A window mount or slip should normally be used to visually enhance the artwork and distance it from the glazing. Commended Level bespoke framing is not always reversible, so make sure we know if you may require the picture returning to its current state. The Guild recommends that processes should be reversible whenever possible, as the future value of works cannot always be foreseen and work in mint condition commands the best secondary market value. Although this is not a Fine Art Guild standard, our bespoke framing experts can frame a wide varietly of memorabilia; sports shirts, autographed photographs and needlework can all be framed with the aim of displaying and protecting as per your requirements. We also have standard sizes available made from our off-cuts – so there are some lovely frames already made up at very good prices. Please call or email, make an appointment or pop in. 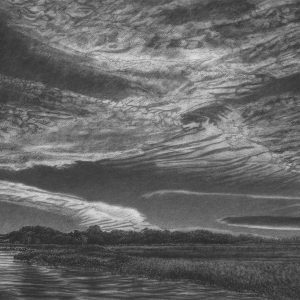 Also, we give local artists 15% off our bespoke framing service. 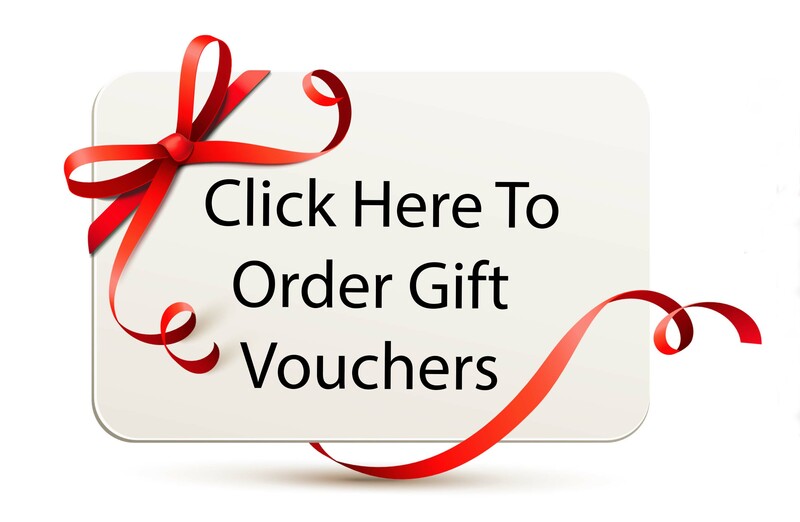 Please do not hesitate to contact us on 01952434033 for further details and your framing requirements.